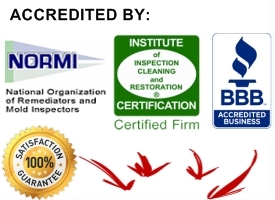 • We are IICRC Certified (Institute of Inspection Cleaning & Restoration the primary certification college that sets the standards in the cleaning industry) and a Chosen Member of Ethical Services (Like a BBB for carpet cleaning but with much stricter guidelines and a strong code of ethics that needs to be adhered by at all times) – This assures you that we have been trained and tested. And we abide by a strict code of ethics which results in the highest level of customer satisfaction. 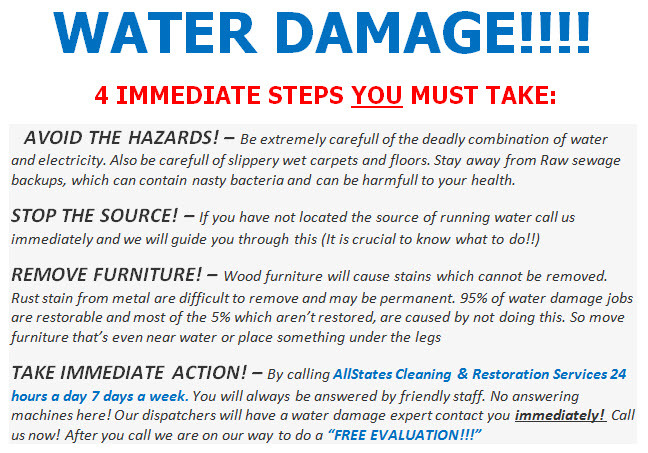 • 100% Satisfaction Guaranteed on Flood Cleanup service, There is nothing worse than paying for a service and not being happy or thrilled with the results. You have peace of mind always when you use Flood Cleanup NJ and AllStates Cleaning & Restoration Services to clean your Flood. • Years of Experience – As the saying goes “practice makes perfect.” And we have perfected our Flood Cleanup and other cleaning methods to give our clients maximum cleaning results. • Professional Friendly Service – You will receive friendly, informative, and caring service from your first phone call to the completion of your job. We also call a day or two later to make sure you are still thrilled with our service.